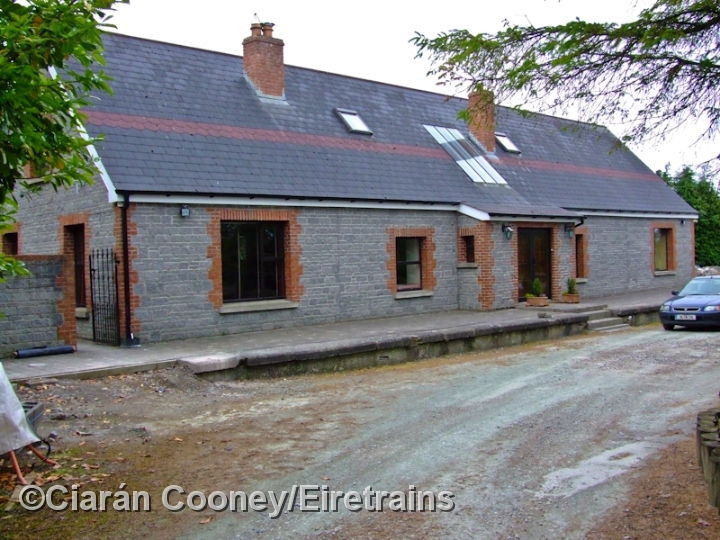 Drumree, Co.Meath, was located on the former Midland Great Western Railway's Clonsilla to Navan line, opened in the 1862 by the Dublin & Meath Railway. The MGWR had at one time double track from Clonsilla as far as Drumree, but this was singled by the Great Southern Railway in 1931. 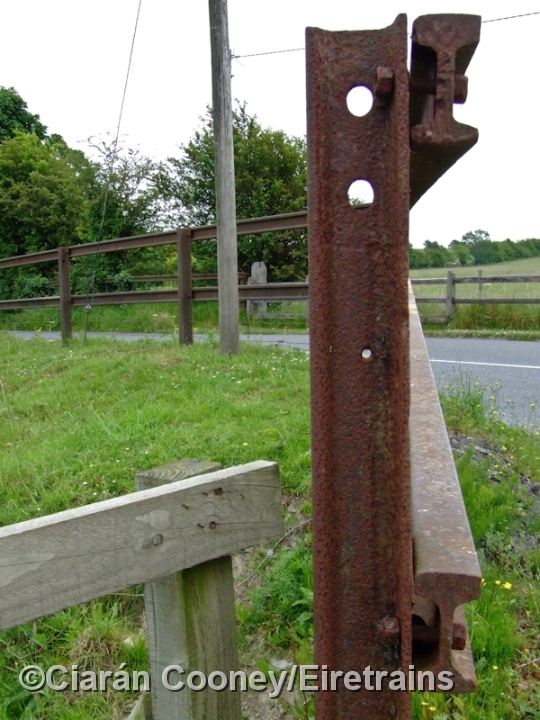 The Clonsilla to Navan line lost its passenger service in 1947, and closed completely in April 1963. 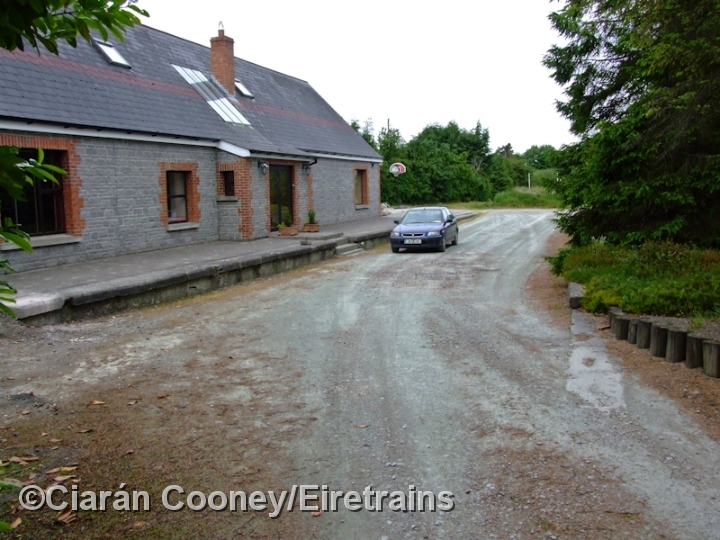 Drumree Station had up & down platforms, single storey station building, and a typical MGWR signal cabin. The station remained as a block post until the line's closure in 1963. Today, the station building has been much extended and renovated, but the up & down platforms survive, partially covered over.